Many of my students were confused after not getting any useful information about SF2 on the internet. 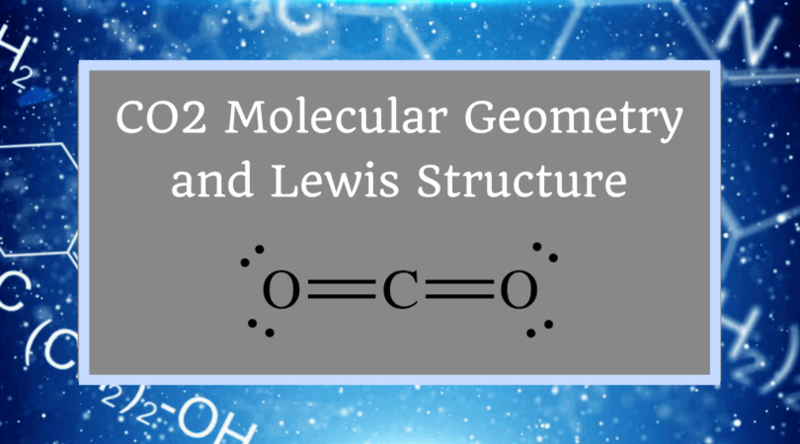 There are so many things to know about such as molecular geometry, Lewis structure, polarity, hybridization, as well as bond angles, but very little information available online. 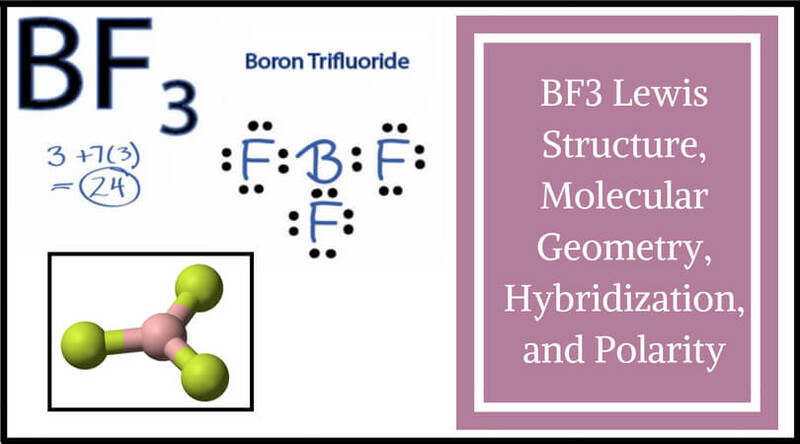 So in this article, I am going to solve all the confusions regarding of the Sulfur DiFluoride – SF2 molecular geometry. 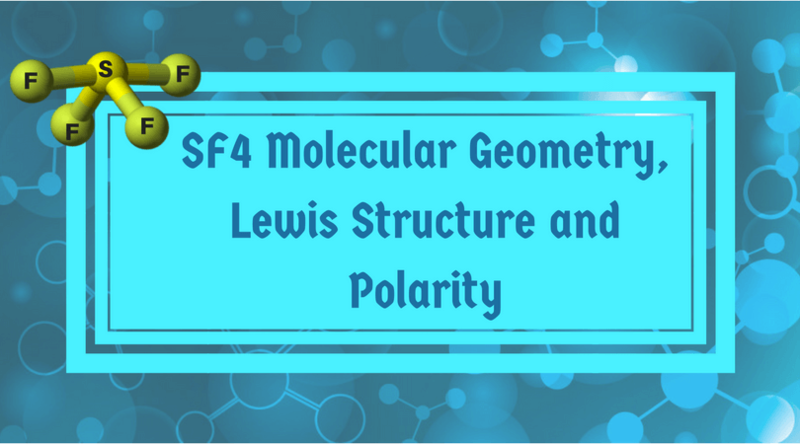 To know about the Sulfur Fluorine – SF2 molecule geometry, the very first thing we have to do is to add up the valence electrons. As you may know, Sulfur has six valence electrons, and the Fluorine has seven valence electrons. This combination gives us the total of twenty. Now we are going to subtract that sum from the highest multiple of eight but just below twenty, which is obviously sixteen. Now, when the figure is subtracted, we get four. 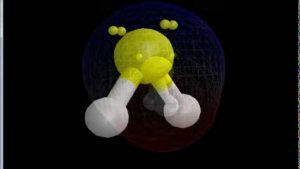 (Twenty minus Sixteen) So what it tells us is that there are four electrons or two lone pairs of the central sulfur atom and fluorine. It forms one bond because it has seven valence electrons and it only needs one more to get to eight. But here, we couldn’t add lone pairs of fluorine so that they can have eight atoms as well. So, that’s the structure as of Sulfur Difluoride. Whenever the canter atom has two lone pairs and two particles, the geometry is bent or angular. As I have described earlier, the two lone pairs of electron of SF2 gives it a bent shape. So, it is a bent molecule. The hybridization by the central Sulfur is SP3. It has two orbitals 180 degrees apart. 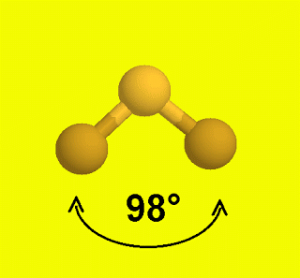 If we talk about the bond angles, it is 98 which is very similar to H2O. 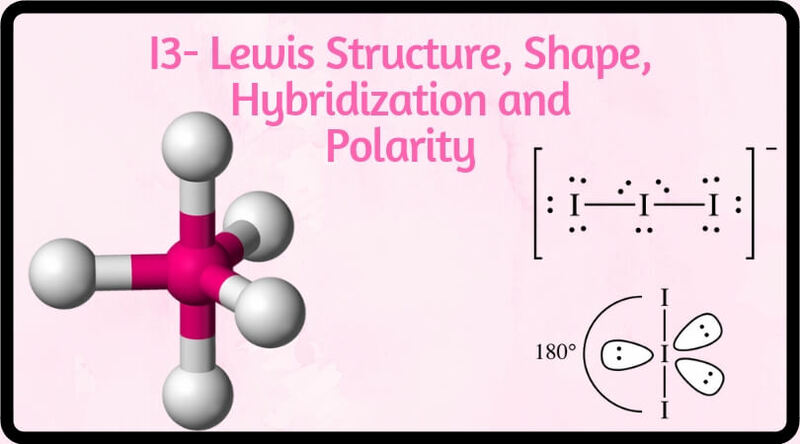 To determine whether SF2 is polar or nonpolar, first look at the Lewis structure. 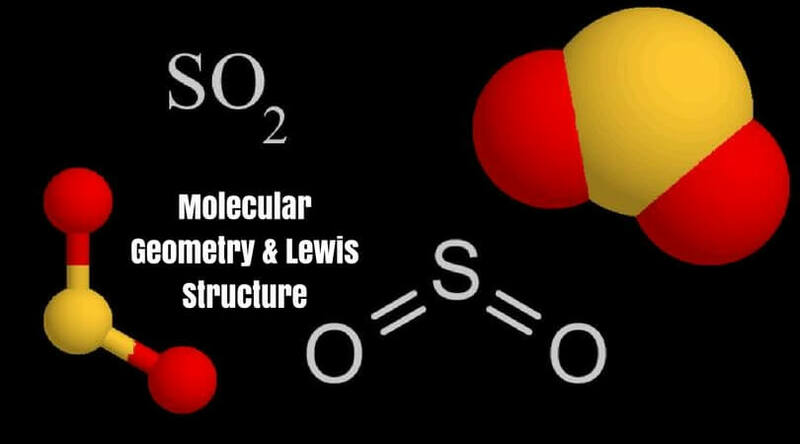 We can see that we have two fluorine on either side of the Sulfur and we also have two pairs of lone pair electrons. So according to Valence Shell Electron Pair Repulsion theory (VSEPR theory), these fluorine and these two lone pairs of electrons – they are going to spread out, and when they do it, they are going to give us a molecular geometry. 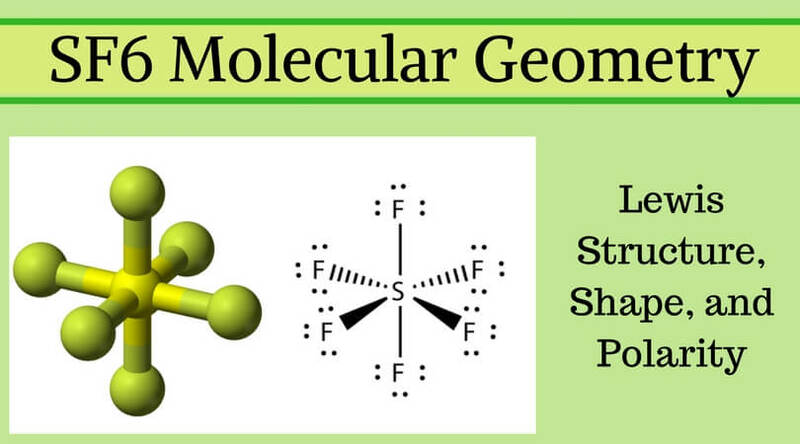 In short, all of these forms the geometry of the Sulfur Fluorine molecule. You can see here that we have the two lone pairs on the top and the fluorine atoms are forced down to the bottom. So as the electron pairs and the fluorine spread out, we end up with this bent geometry. Here what we can see from this structure is that we have two different sides. We have the sides where there is fluorine, and then there is a side where that lone pair of electrons stays! So, because we have these different sides, this molecule is not symmetrical, and we get a negative as well as a positive side, which makes this a polar molecule. So, SF2 is a polar molecule because of those differences in the electronegativity. That’s all for this article. I hope you got the answers and detailed explanation regarding Sulfur difluoride. 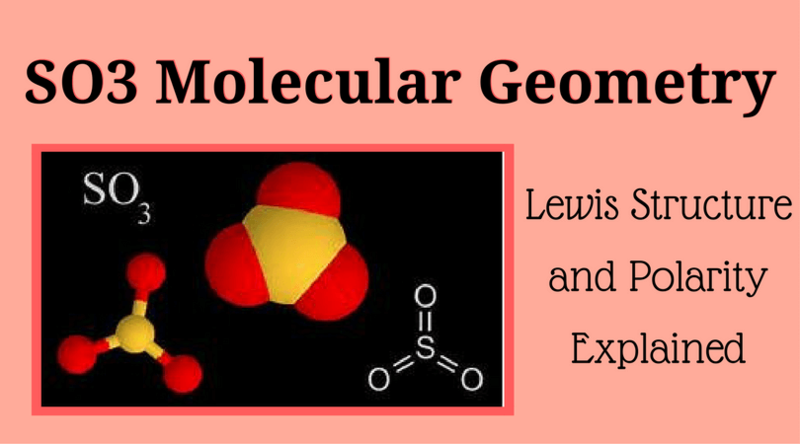 Learning about various terms of chemistry just to understand Geometry of Molecules, makes it a fun learning. We just need to get clarity in mind and focus on the small details which can help us to solve any significant issues of chemistry. Whatever the case may be, keep learning and keep explaining! Can you please say this is planar or not?? 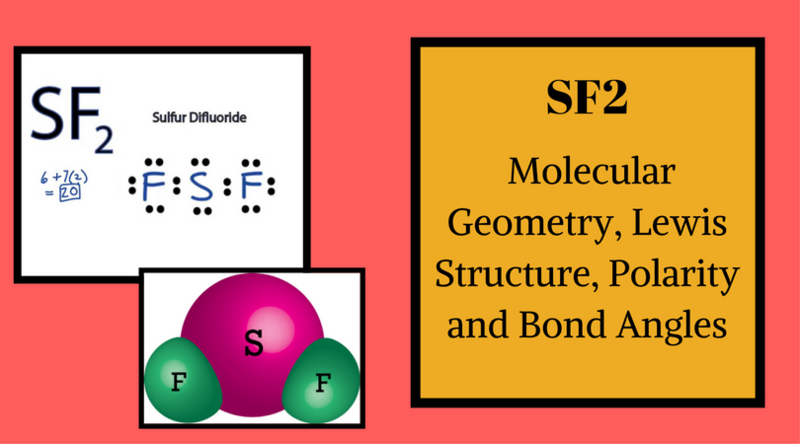 No, SF2 hsd bent shape as there are two atoms bonded to the central atom as well as there are two lone pairs in it. 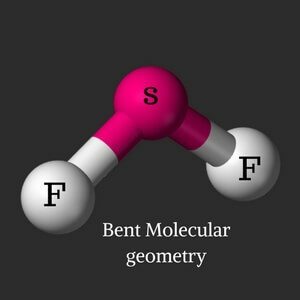 The molecular geometry of sf2 is a bent.